Dating back to centuries, Saffron has been used for its amazing medicinal benefits. In recent years saffron has been found to promote weight loss and is gaining popularity in the diet industry, however, many brands have failed to formulate the correct balance of pure saffron which provides effective results. Naturelle Health has claimed that its formulation of saffron controls your appetite by curbing cravings. 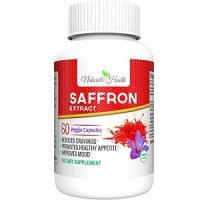 In this review of Naturelle Health Saffron Extract, we will be looking at the formula and dosage to see if this product works. 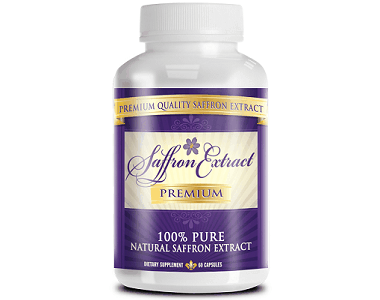 What’s in Naturelle Health Saffron Extract? 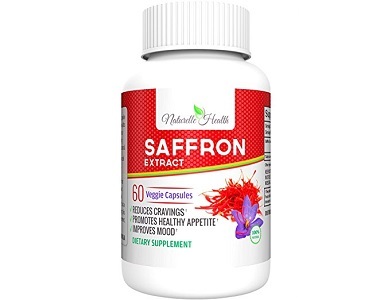 Saffron Extract 88.5 mg – Saffron is extracted from a flower known as crocus sativus and is known to aid digestion, promote weight loss, balance hormones, and boost serotonin levels. Cellulose – Cellulose is used as a binder in most capsule formulas and has no nutritional value or calories. Rice Flour – Rice flour is used as a filler which is found in most tablets and capsules. While this product may appear to be 100% pure saffron, binders and fillers are proven to compromise the quality and purity of the extract. These factors may cause the product to be ineffective as the standard of saffron is much lower in comparison to other leading brands on the market. How Do You Use Naturelle Health Saffron Extract? The recommended dose is two tablets daily and should be taken 20-30 minutes before meals for the best results. Two capsules are equivalent to a daily intake of 177 mg of saffron extract. This dosage is much lower than the effective dose of 200mg used by reputable saffron brands. Due to this dosage, the product may not be very effective in producing the desired results. We were unable to find the exact cost of this product. Third-party retailers have listed this product as out of stock or unavailable. Naturelle Health does not appear to have an official website where you can purchase the product from either. We were unable to find any information about a money back guarantee. There is only a physical address listed on the product, consumers will not be able to contact the manufacturer directly to query this either. At a glance, this product may seem like a promising one for weight loss if you read the packaging, however, when you take a closer look you may find that this might not be the case. The product states that it only uses the purest form of saffron but the additional binders and fillers dilute the potency and quality of the extract, in addition to this the dosage is not sufficient enough to provide effective results. Some consumer reviews have expressed their own personal opinions about the dosage and found that this supplement was not potent or effective enough. The fact that there is no stock available on any third party retailer is also a concern and without a money back guarantee this leads us to believe that the product is not popular and has been discontinued. Our final conclusion is that Naturelle Health Saffron Extract is not the best weight loss supplement on the market and consumers should rather seek alternative options.